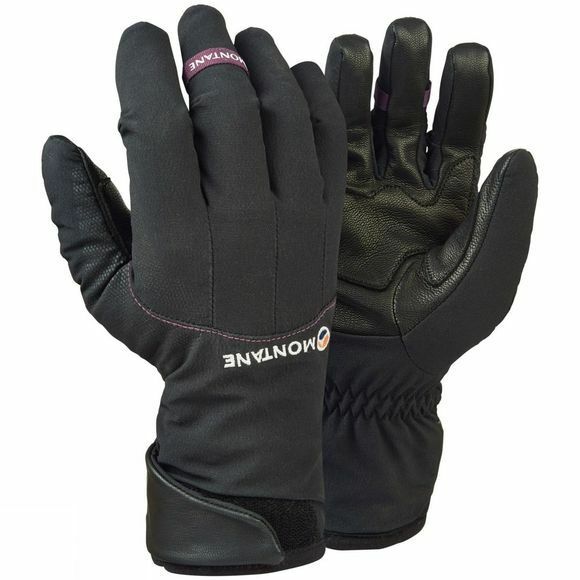 The Women's Alpine Guide Glove from Montane, is an extremely dexterous, low profile softshell glove ideal for technical ice / mixed climbing and quick, mountain ascents. Lightweight Granite Stretch softshell outer fabric offers great protection whilst allowing for unrestricted movement. 60g PrimaLoft Gold Eco Insulation together with a micro-grid fleece liner provides warmth and comfort, making this the ultimate glove for moving fast and light in technical mountainous environments.